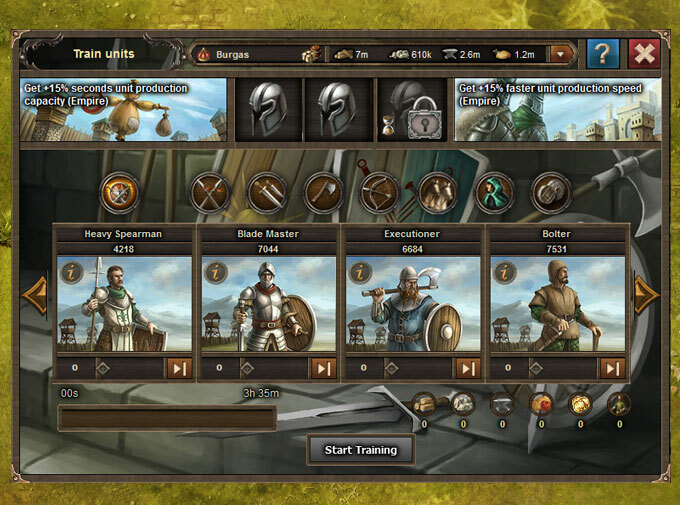 If you want to recruit a swordman, you need to choose the swordmen group first, put in the number of units you want, or drag the arrow toward right of the screen, or click for maximum and then use the green button to start training. You can also click on for individual unit details. Recruiting and training units are presented inside the barracks. All types of usits are available inside the barracks by groups. Units are divided into 7 groups. You can choose "all units" option if you want to show all units in general. 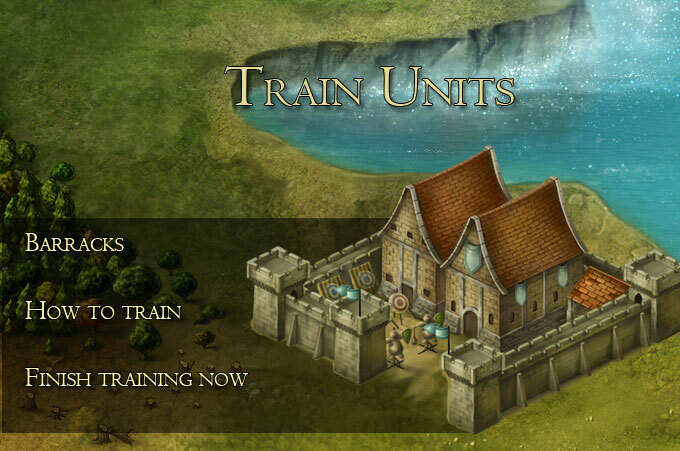 You can only cancel units, and not buildings and research because only units have expenses after they are completed. - Training can be expedited by clicking on . - And it can be cancelled by clicking on .